Bhubaneswar: Reiterating its commitment for skill development of the youth in the state, the Odisha government is celebrating this year ‘World Youth Skill Development Day’ in a big way throughout the entire state with flagging off ‘Skills Caravan’ here today in Bhubaneswar. 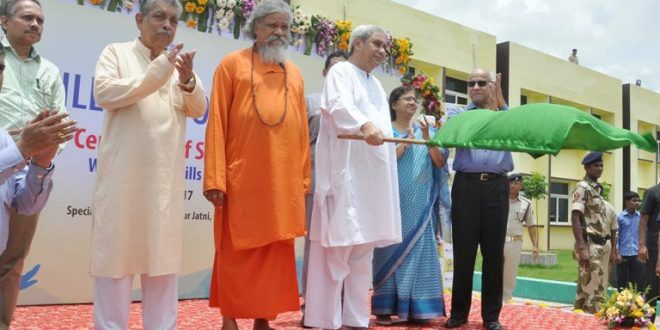 On this occasion, Chief Minister of Odisha Naveen Patnaik flagged off the ‘Skills Caravan’ at the special ITI, Khudpur at Jatni in Khurda district. With this launch, the ‘Skills Caravan’ will travel to 30 districts in the state till 30th July to create skill awareness initiatives. Under this programme, the skills Caravan (Mobile Digital Movie Theatre or Digiplex) will spread the awareness where Chairman of Odisha Skill Development Authority (OSDA), senior officials and other role models will also participate. Similarly, at the district level, collectors and their teams will organise several skill awareness sessions during the stay of the caravan in their respective area. With this initiative, the Odisha government has once again reiterated its mission to bring transformative human development in the state through skilling the youth and making Skilled in Odisha-a Global Brand, said Subroto Bagchi, Chairman, Odisha Skill Development Authority. To achieve this mission, the state government last year established the Odisha Skill Development Authority (OSDA) to provide overall direction, guidance & implementation of skill development programs in the State by converging different sectors. It aims to skill 6.7 Lakh youth in next 2 years. Towards this an 18 month roadmap was presented on 17th June 2016 by the Chief Minister, he added.